A new Catalan-inspired restaurant from The Absinthe Group. 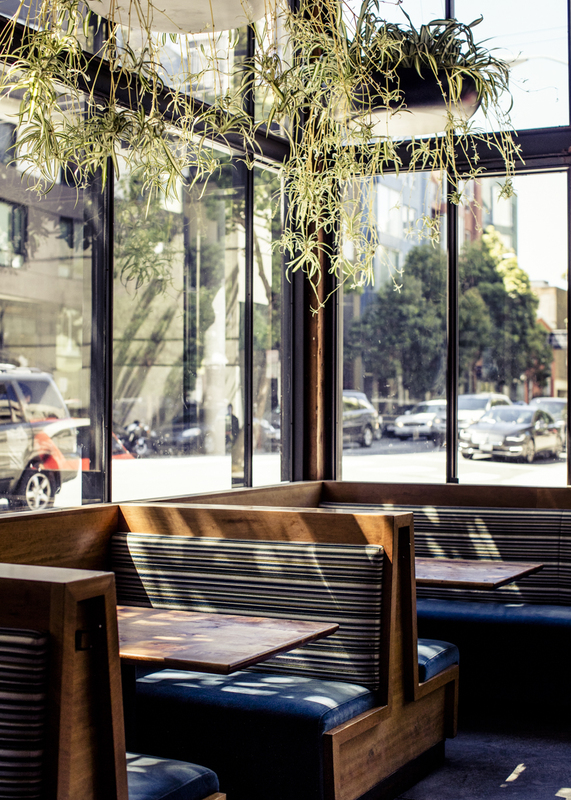 Barcino is a welcoming neighborhood destination that draws inspiration from both the vibrant dining and drinking culture of Barcelona and the lively Hayes Valley community in which the restaurant resides. Barcino, which takes its name from the ancient moniker for the city of Barcelona, focuses on tapas from the Catalonia region of Spain, reimagined from Executive Chef Ryan McIlwraith’s own point of view. In addition to frequently changing seasonal paella specials, a focal point of the dining experience is the sleek raw bar—“Barra Crua”—where guests will enjoy a peek into the bustling Barcino kitchen. Barcino is helmed by Executive Chef Ryan McIlwraith, Chef de Cuisine Kaili Hill and General Manager Michael Goss. The dessert menu is crafted by Executive Pastry Chef Michael Aguilar and draws inspiration from the traditional flavors of Catalonia. As with the food at Barcino, the bar program, overseen by Bar Manager Tammy Hagans, is heavily inspired by Catalan traditions and is focused on the unique drinking culture of the region, featuring a concise list of original cocktails, a variety of Spanish-style gin tonics, a highly-focused selection of Spanish vermouths and sherries, and a curated list of Spanish beers, Spanish cava, 50 different bottlings of gin, and Sangria Blanco on tap. The new bright and airy space features a primarily white color palette, filled with live greenery and unique nods to Catalonian culture meant to inspire conversation and evoke a true sense of place. Jointly designed by The Absinthe Group’s Project Director Jonny Raglin and Hayes Valley-based Sagan Piechota Architecture, Barcino is both elegant and accessible, emphasizing materials primarily sourced from local partners. The Absinthe Group (TAG), founded and managed by food-industry veteran Bill Russell-Shapiro, creates and operates unique, high-quality food and wine enterprises. TAG includes a carefully built collection of seven businesses, five of which are located in the Hayes Valley neighborhood of San Francisco. They are overseen by TAG Vice President Eric Vreede, Executive Chef Ryan McIlwraith, Executive Pastry Chef Michael Aguilar, Beverage Director Phillip Acquafresca, and Director of Bars and Development Jonny Raglin. These include Absinthe Brasserie & Bar, Absinthe Private Dining, Arlequin Wine Merchant, Barcino, Bellota in SoMa, and Comstock Saloon in North Beach. 40 / add jamon iberico de bellota 20. Tuesday to Friday from 4 p.m. to 6 p.m.